What began more than 20 years ago as a way to celebrate fall has turned into an annual event of the apple in Charlevoix: Apple Fest. Held each year on the second weekend of October, Apple Fest turns downtown Charlevoix into a festive and fun place to be. Dozens of Northern Michigan orchards are represented at Apple Fest and they bring more than 30 varieties of traditional and heirloom apples along with cider, baked goods, apple butter, and other fall produce like pumpkins and squash. The accompanying art and craft show with 125 exhibitors brings craftspeople to Charlevoix to show their talent. And all of this takes place in downtown Charlevoix in East Park on the Round Lake waterfront--a gorgeous setting! Family activities include face painting, pony rides, and a petting zoo. The pumpkin carving contest offers prizes to carvers with the pumpkins displayed in Bridge Park during the weekend. A 5/10K foot race takes place Saturday morning. Spectacular fall color typically is on display during the weekend and the combination of fall foliage and Apple Fest brings visitors to Northern Michigan from across the Midwest. Held along the waterfront in downtown Charlevoix, Apple Fest is a great way to celebrate fall. Artist booths will be located in both Bridge Park and East Park with more than 165 exhibitor booths bursting with unique, one of a kind creations. More than 30 types of apples will be available as well as other fall harvest items and baked goods. 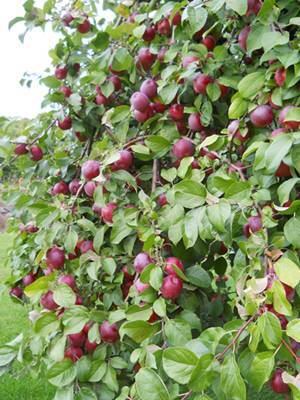 Apple Orchards include Friske Orchards, King Orchards, Royal Farms, Interwater Farms, and Farmer White's. Visit the market for pumpkins, mums, squash, jam, maple syrup, pies, bagels, mustard, crepes, cider, honey, meats, eggs, soups, a variety of baked goods, and more, all locally grown and produced. Local non-profit organizations will be onsite with hot food items such as chili, hot dogs, apple flappens, soup, Irish apple cake, hot cocoa and kielbasa. Head down to the performance pavilion in East Park to check out the interactive toy trains that will be running all three days. Children can actually ride on the trains and play at the miniature train tables.